It may have only just been released, but this song captivates you from the start. There is something about it that already makes it feel like it is sure to be a gig favourite. 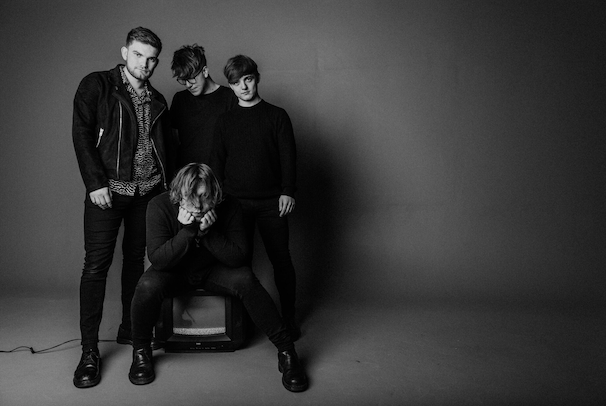 ‘Addicted’ is the new single by 4-piece Scottish band Retro Video Club. With its powerful opening, this indie-rock band have created one of the catchiest singles you will, without doubt hear this year. You can’t help but toe tap whilst listening, with so much energy it draws you in as the song doesn’t know how to slow down. A sound that is a cross between the Arctic Monkeys and Babyshambles; Allison, Ward, McGill and Burt have a bright future ahead of them. This is a band that is one to watch out for if this single is anything to go by.